Rocks are hard, grass is lumpy, and sometimes you just don’t want to be on the ground anymore. ENO has you covered. The SingleNest is a one man hammock designed to spare your tush from the unrelenting assault on comfort we call gravity. Just how well can a little wad of fabric perform when strung between two trees? The SingleNest (and the double for that matter) is fabricated from a soft, stretch nylon of your color preference. It’s built to hold up to 400 lbs, and includes strong aluminum carabiners for easy connectivity to your preferred mounting method. 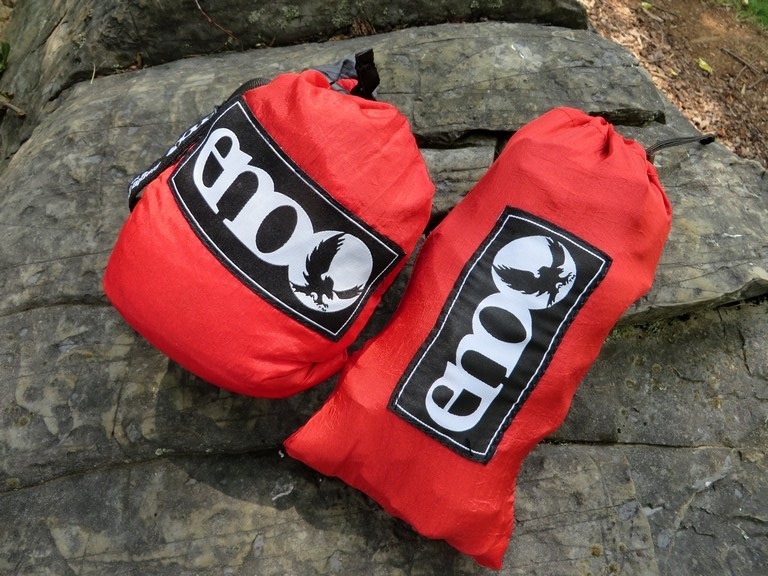 Durable triple stitching ensures you’ll not unravel in your sleep, while the built in compression stuff sack holds a couple items off the side, or packs away the hammock itself when not in use. 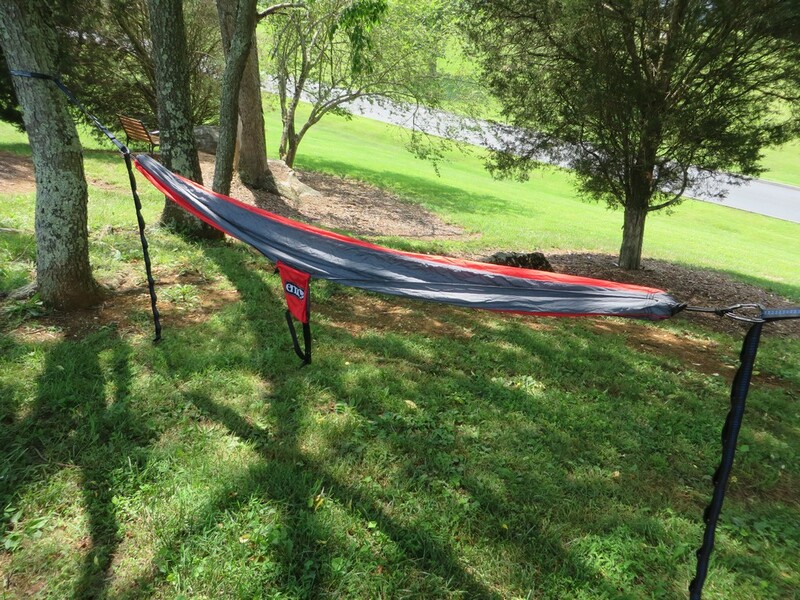 Straps are sold separately and provide simple setup, and the hammock alone retails for 59.95. 16 ounces. on the dot. There’s nothing like a soft, stretchy hammock to lull me to sleep, or provide a comfortable resting spot after a long days hike. The SingleNest doesn’t disappoint. The soft, silky materials feel great against the skin, and does a fantastic job of preventing any pressure point along the body. The shape allows for a few different lounge positions, including the standard banana lay, diagonal lay around 45 degrees, or even a nice chair like sitting posture. The hammock packs down small thanks to the sewn in compression straps and stuff sack (can’t lose that), and weighs only 16 oz., meaning you can pack it in as your primarily sleeping apparatus, or you can bring it along on shorter backpacking trips to use for when you’re not in your tent (your lady kicked you out huh?). Also great for day hikes with a view. 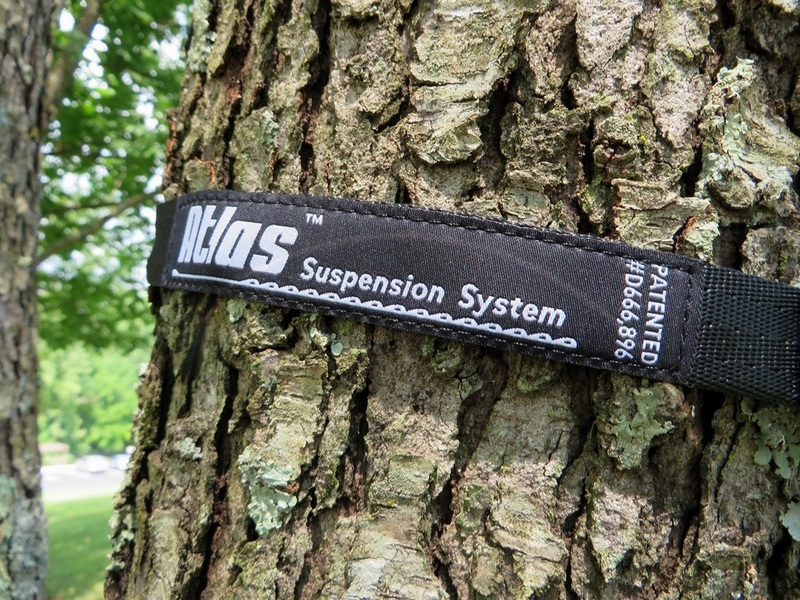 Setup is as simple as throwing some Atlast Straps ($29.95 and 11 oz.) 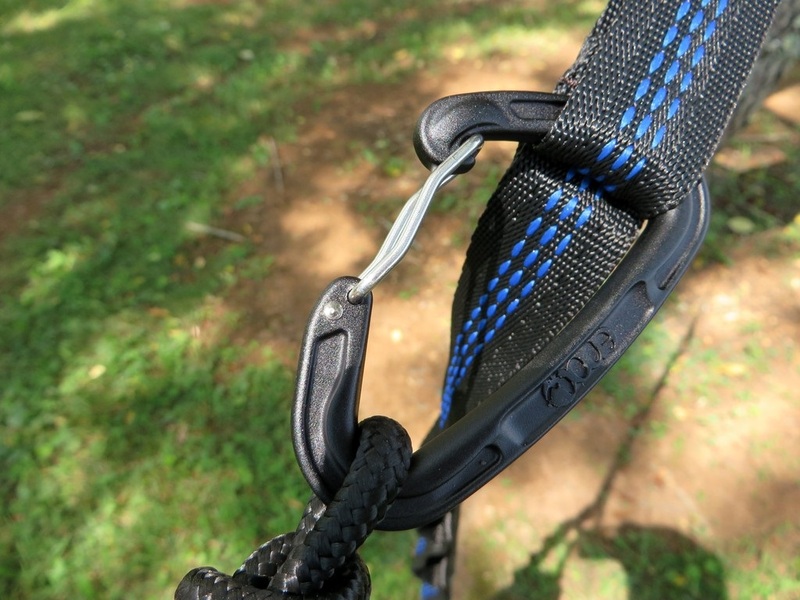 around a tree (bark friendly) and clipping in the carabiner at your desired position. The hammock works pretty well with a sleeping pad, which if inflated firmly levels out the hammock a bit and provides warmth (if insulated) from the cool breeze below. Durability has been fantastic, especially in the well-engineered suspension systems. A little bit too heavy for longer trips if you’re already carrying a tent. Sometimes I carry it anyway, because hammocks. The straps aren’t included, but are certainly recommended. You can use cheaper methods, but risk damaging trees or suspension failure. 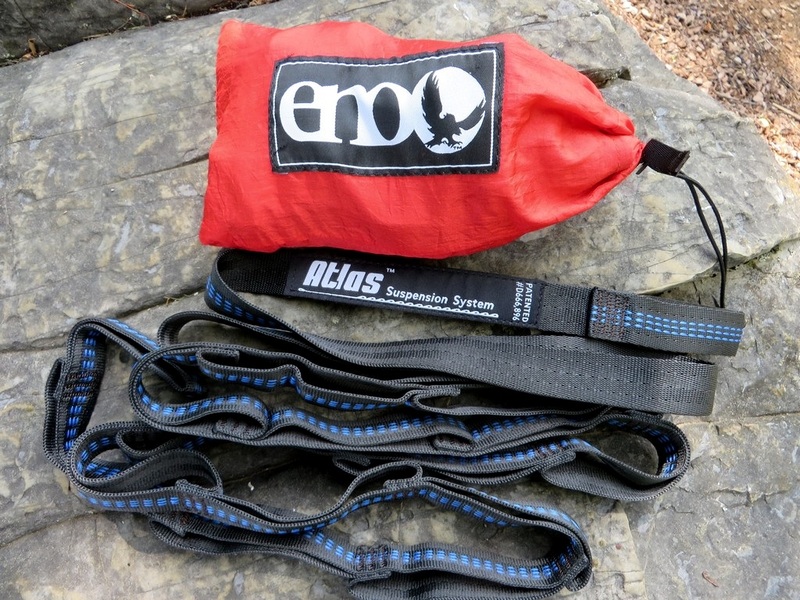 The optional (and recommended )Atlas straps weigh 11 ounces, and are built incredibly well. They’re polyfilament webbing which provides serious strength and durability. They really make mounting the hammock incredibly simple, with the hammock going up in around one minute flat. 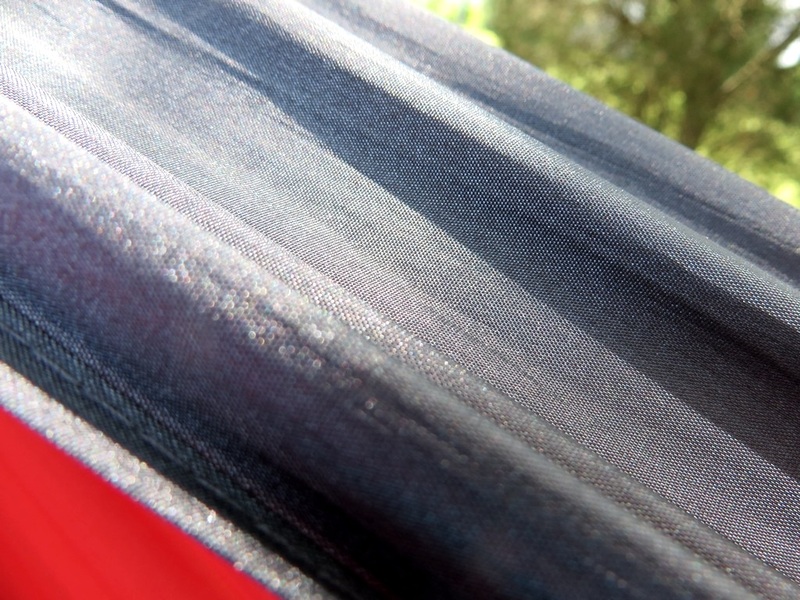 Multiple connection points along the straps allow you to click into any point that provides the desired tension on the hammock. 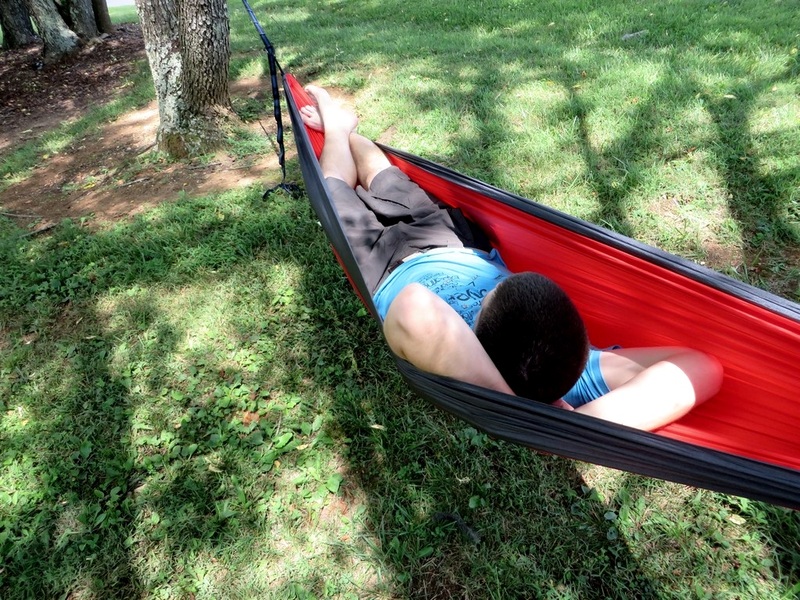 Dependability and ease of use make these a no-brainer if you’re already investing in a good hammock. It’s hard to not recommend a device that provides so much comfort for so little weight. At 16 ounces, it’s light enough for any trip if it’s your primary sleeping system, and still light enough if you’re already carrying a tent over shorter mileages. Durability and build quality as a whole is great, and the price is right. 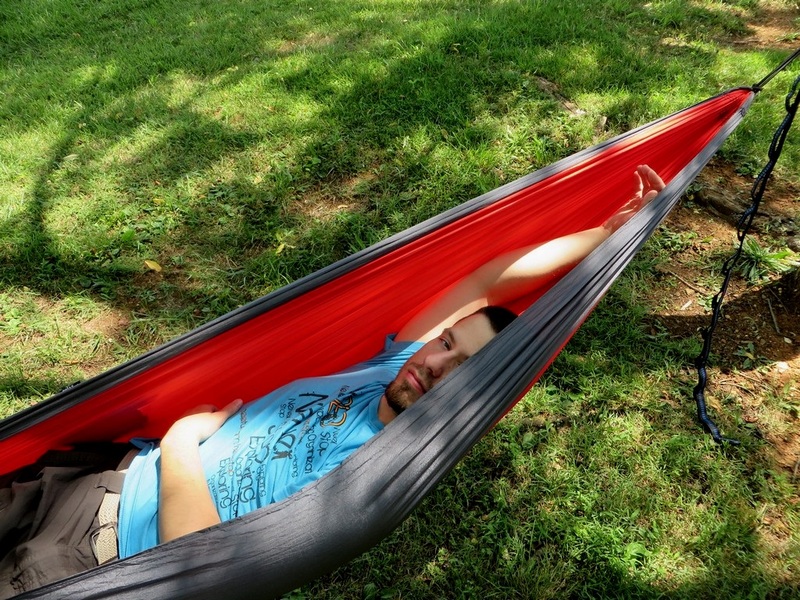 Minus the straps (not included and half the price of the hammock), it’s a nearly flawless design that will provide years of luxury and comfort. Big thanks to ENO for providing this great piece of kit for review. Our full disclosure is on our About me/ Contact page.